When I first seen this Gi online, there was no doubt in my mind I had to have it. This was formed from my immediate visual opinion. Once I began to read about the product and what it stood for… it was ordered. The only tough part of the decision was to decide the color, which is offered in white or black. I opted for the white because of what I have in my current inventory. 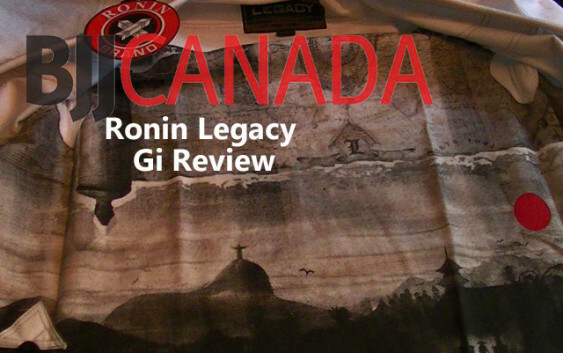 Many people are not aware of the rich history Ronin has in the martial arts community. Ronin Brand, originated by Kinji San has been is business since 1976 and has been in the same location in Brooklyn , New York. Ronin Brand was launched in 1980. They have gained a reputation for quality workmanship, fit and reasonable price. They are a family run business that keeps close with their customers by providing prompt customer service and a diverse product line. This gi is in honor & pays tribute to the founding fathers we trust with this sport. Each biceps has the Ronin Brand logo wrapped within a shuriken. 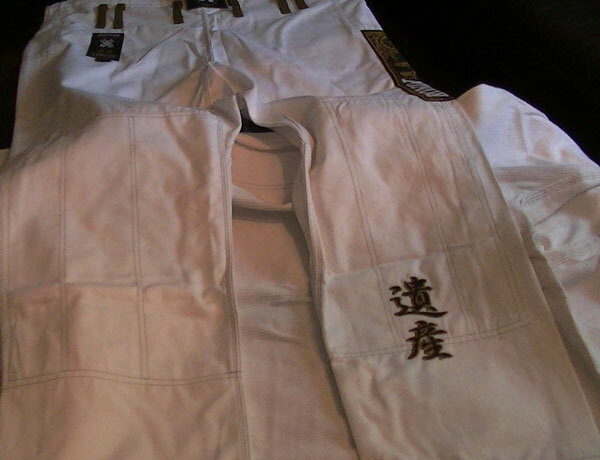 The years 1878, this is the birth year of Mitsuyo Maeda, & 1913, this is the birth year of Helio Gracie, are fully embroidered underneath. Because of these two men, the foundations of BJJ was formed to what we have today. 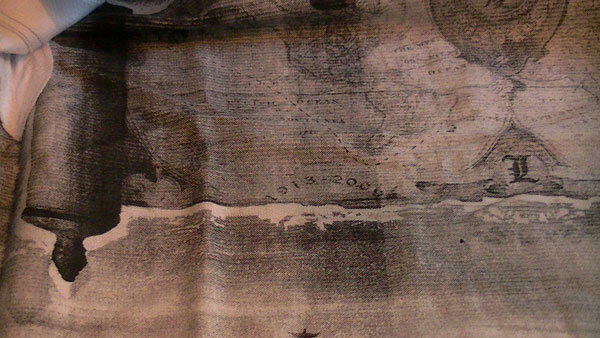 There is a long rich history that I recommend you research if you haven’t done so before. While the outside of the jacket is nothing flashy, leaving lots of room for other patches, what really caught my eye with this product was the amazing design on the inside jacket. 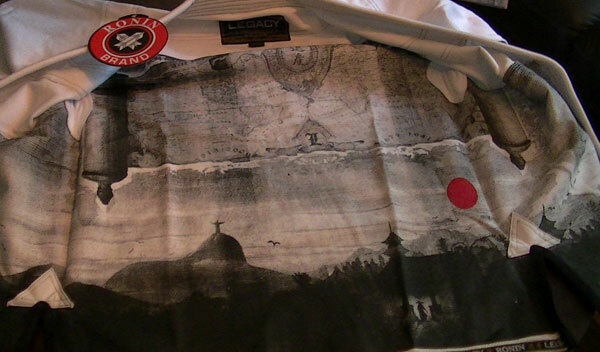 Fully digital printed design created by Joey Sylvester represents half of Brazil & Japan. The design makes you want to wear the thing inside out. The Pant bottoms are much like the top, plain and classy. On the left leg – Kanji for the word “Legacy”. This is fully embroidered. There is also a very nice patch on the left side hit and a small logo on the right side waist area. There is tons of room to customize with patches or just keep original. The materials for the jacket is 100% cotton. Its pre shrunk. It feels very comfortable and doesn’t feel restricting whatsoever. It durable design is constructed of 450GSM Pearl Weave, Pre-shrunk with non scented fabric softner. The lapel consists of thick firm Eva foam wrapped with 14oz. Canvas material. As discussed earlier in this review there is two patches on each shoulder and another one on the lowest left side, front. The sleeve length/diameter is absolutely prefect leaving enough room for for the ezekiel choke fans, but not too much giving easy grips to your opponent. The jacket is highly reinforced inside and out and after over 20 washes… still looks and feels brand new. As tested by Ronin and confirmed by BJJCANADA, this gi jacket will shrink 1-1.5″ over time. The pants material is constructed of 100% cotton 10oz. twill material. They feel as soft as a set of pajamas yet are thick and comfortable when rolling on the mats. Like the Gi top, the bottoms are heavily reinforced to promote durability and years of hard training on the mats. A high quality stretchy rope string that’s guaranteed not to fray/fall a part keeps your pants up and snug, even when your having a 10 min match with a bolo master. I am 5’8 and 155 and purchased the A1L. The jacket fit perfect. The pants were a bit long but I was able to hot wash and dry 3 times to fit perfect. The Gi was purchased from fightersmarket.com and cost just over $200 cnd with shipping. I got a good deal on labor day. The price is $159.9 usd currently on fightermarket.com. You can also purchase it at http://roninbrand.com. At this price point your getting a steal of a deal. 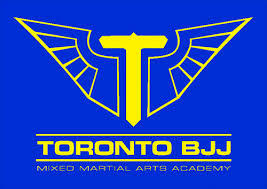 Your getting the designer gi feel, fit, and quality, for a fraction of the price.